A correct reproduction of the original fan shroud bracket for 1967-68 big block and 1967-69 small block Camaro and 1967-69 Firebird models. Bracket holds fan shroud in place, connecting to the radiator support. This reproduction includes three correct 5/16"-18 J-nuts allowing for correct installation. Note: Mounting bolts not included. See part # 10084 for bolts (3 required). 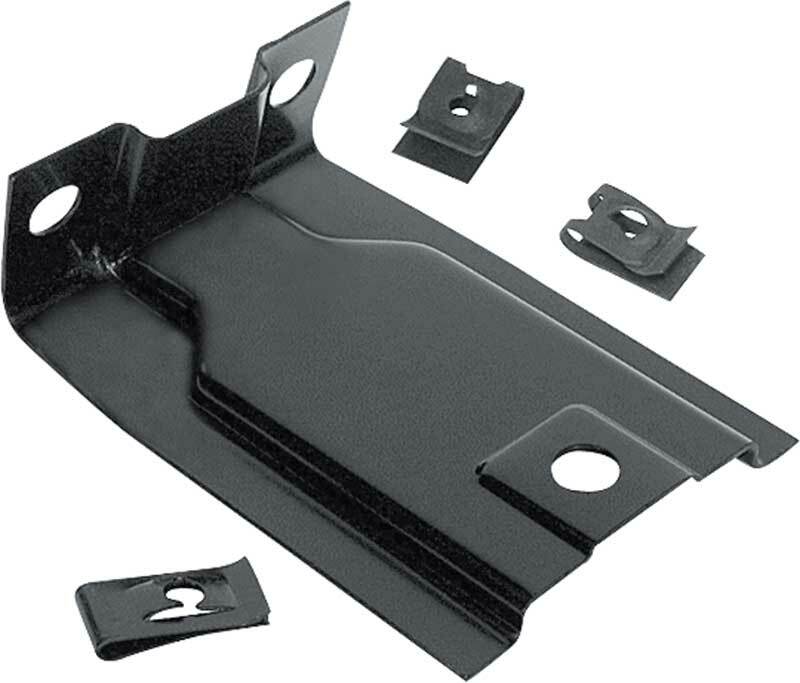 1967-69 Camaro / Firebird Upper Fan Shroud Bracket is rated 3.0 out of 5 by 1. Rated 3 out of 5 by DrOlds12 from Incorect Hardware Hardware included with bracket not proper for fit. Quick-clips were too short and did not line up with the holes.